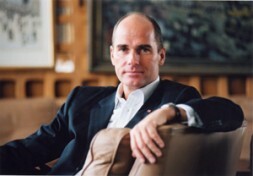 Author Dr. Hubertus Hoffmann is Founder and President of the World Security Network Foundation, an international, independent, nonprofit organization in New York, the largest global elite network for foreign and security policy with more than 170,000 elite users all over the world, 30 editors from 17 nations, an International Advisory Board of 44 well-known experts from 14 countries, including 11 former generals: "Despite current television images, viewed in a historical context, peace is possible between Jews and Arabs. Israel, Palestine and its Arab neighbors need common values, interests and goals." At the moment when soldiers march and weapons kill, a clever statesman ought to consider intensely what a long-lasting peace arrangement would look like, for which men and women are losing their lives in his nation, so that their children and grandchildren can live in peace and freedom. This dictum is particularly valid for the seemingly insoluble conflict between Israel, Palestine and their Arab neighbors. Despite current television images, viewed in a historical context, peace is possible between Jews and Arabs. The history of Europe proves this, where centuries-old ancestral animosities have been transformed into friendships, e.g., between Germany and its two largest neighbors: France and Poland. Real peace, however, must be “instigated”, as so appropriately stated by Immanuel Kant. True peace requires common values and interests, parallel political goals as well as a government-mandated, desired reconciliation between peoples. Peace politics historically requires immense patience and daily efforts lasting over many years; it must be able to withstand numerous setbacks and disappointments. Common values in the Middle East, according to the worldview of the USA, the European Union and Israel, can only exist in universal, liberal-democratic principles—the opposing model to the totalitarian beliefs of Hamas, the Hezbollah and the Iranian government. The common interest of Israel and its Arab neighbors—with the exception of Syria—is the containment and neutralization of the Islamic totalitarian threat, which is life-threatening to all Arab governments and the majority of Western-oriented populations, including Lebanon. Additional important common interests could develop from an expanded economic cooperation—above all between Israel and Palestine and including its neighbors Egypt and Lebanon. A possible goal of new Middle East peace politics could be the creation of an economically flourishing, free and prosperous free trade zone, extending from Lebanon through Palestine, from Israel to Egypt and Jordan, in association with the European Union. The EU should, even now, begin concrete, intensive work on this long-term goal and not wait until all border conflicts have been resolved. The military response on the part of Israel to the firing of rockets out of Lebanon by the Hezbollah is morally justified because UN Resolution 1559 calls for the disarming of the Hezbollah. To this day, the powers at the UN have not implemented this goal. However, this military reaction can only prevent attacks on Israeli territory for a limited time; it cannot bring about lasting peace. "Israel needs, in the interest of its own survival, a new peace policy consisting of the “Uzi and the olive branch”, a credible double-strategy documented externally consisting of reconciliation on the one hand and military operations against terror organizations and deterrence through conventional and nuclear weapons on the other." Israel’s policy toward its neighbors is lacking—and fatally so—the sole of all historically successful peace politics, the important element of reconciliation. 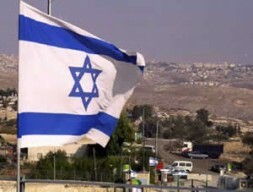 Israel needs, in the interest of its own survival, a new peace policy consisting of the “Uzi and the olive branch”, a credible double-strategy documented externally consisting of reconciliation on the one hand and military operations against terror organizations and deterrence through conventional and nuclear weapons on the other. The historical formula for the survival of Israel in a sea of hostile Arabs is the “hawk plus dove”. The hawk alone does not bring peace. In the next 100 years, Israel will only be able to survive in its historic location in the middle of a numerically superior enemy, richer with petrodollars, when reconciliation with its Arab neighbors as “conditio sine qua non” of a genuine Israeli peace policy is supported with just as much energy, imagination, patience and money, as the necessary but insufficient military operations against terrorists. Israel needs a reconciliation offensive as a supplement to the necessary traditional military and power politics. Active power politics, be it the targeted killing of terrorists or the invasion of Lebanon, only brings about a limited tactical advantage, not a lasting peace. Passive power politics by means of conventional or nuclear deterrents can only prevent the utilization of those same weapons by an enemy army, not however the asymmetrical warfare of terrorists—the real threat to the country. Power politics is the necessary complement to peace politics; however, alone it is insufficient for the security and peace of Israel. In other words, Israel needs a new peace policy, which is credible externally, consisting of “a thinking heart” and “compassionate understanding” as described by the Archbishop of Opole Alfons Nossol according to his experience with the difficult reconciliation between Germans and Poles. In Israel, the roots of this tree of peace have long since been neglected due to understandable frustration, assassinations and a bunker mentality influenced by Old Testament thinking (“eye for an eye, tooth for tooth”); the tree of peace of the tribe of Israel is drying away. "An active Israeli policy of reconciliation would work like a poison against the hostile propaganda of Hamas, the Hezbollah, and the enemies in Damascus and Tehran. Reconciliation is the only effective method to drain the swamp of suicide bombers. It can put a stop to the perpetual motion machine of hatred, violence and retribution." One of the most intelligent societies in the world threatens to fall into a kind of offside trap of its most deadly enemy. An active policy of reconciliation would work like a poison against the hostile propaganda of Hamas, the Hezbollah, and the enemies in Damascus and Tehran. Only this would make lasting peace for the children of Israel possible. Reconciliation politics are the only credible way to publicly document that Israel is not the aggressor, but has acted in its own self-defense. Israel needs the sympathy of the world; Hamas and the Hezbollah need only money and weapons from Iran and hate-filled, young suicide bombers. Reconciliation is the only effective method to drain the swamp of suicide bombers. It can put a stop to the perpetual motion machine of hatred, violence and retribution. If this thesis is correct, namely that true peace requires real reconciliation, Israel must now, in its own self-interest, aggressively pursue coming to terms with the expulsion of the Palestinians from its territory and to reach out the hand of reconciliation to this group. Only in this way is reconciliation credible and can Israel win the peace. To this end, Israel can draw on the “best practice” experience of Europe. There, millions of people were driven from their homelands following WWII—including 12 million Germans in the East, among them my own parents—who were peacefully integrated into their new country and made lasting peace in Europe possible through reconciliation and the renunciation of violence and a return home. Israel’s primary partner for peace must be Lebanon. 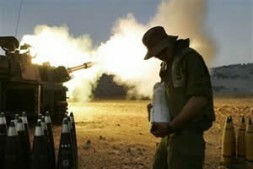 "Israel’s primary partner for peace must be Lebanon. The current invasion and the destruction of significant infrastructure is, from a historical viewpoint, a pathetic episode, which can only result in a short-term break in the rocket attacks of the Hezbollah. Unfortunately, the Israeli olive branch for the Lebanese is vanishing in the smoke of cannons—a serious foreign policy mistake." The current invasion and the destruction of significant infrastructure is, from a historical viewpoint, a pathetic episode, which can only result in a short-term break in the rocket attacks of the Hezbollah. Unfortunately, the Israeli olive branch for the Lebanese is vanishing in the smoke of cannons—a serious foreign policy mistake. Lebanon should now be strengthened by Israel, the EU and the USA, so that it can finally and permanently free itself from the bonds of Syria and the Hezbollah. 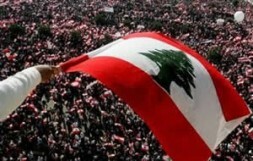 The key to peace in the Middle East now lies in Lebanon. To this end, an international Lebanon Conference at the invitation of the EU would be helpful, which would have as its three goals: the implementation of UN Resolution 1559 in connection with the withdrawal of the Israeli army and reconstruction assistance for Lebanon. Following a two-year probation period, Israel could then conclude a peace agreement with the strengthened independent Lebanese government, which would, alongside security guarantees, regulate economic cooperation and the return by Israel of the occupied Shabaa Farms. Only subsequent to this should a peace agreement be negotiated with Syria. An agreement with Syria would make no sense without a proven stabilization in southern Lebanon over a period of two years. Then, the isolation of Syria would be complete, hemmed in between Turkey, Iraq, Lebanon and Israel. The nation must transform itself internally from a terror-sponsoring dictatorship to a democracy, just as its neighbor Lebanon did before. The significance for the peace process of an Israeli withdrawal to its own territory is overestimated. This dogma is incorrect for one important reason: Hamas, the Hezbollah, Syria and Iran seek the destruction of Israel and demand a return of all lands to the Palestinians. A territorial compromise with these very strong, radical powers is not possible. Indeed, every partial withdrawal would be viewed as “provocative weakness” (Fritz Kramer) and as a stage victory encouraging further terror. Israel cannot win peace through the return of occupied territory as the withdrawal from the Gaza Strip, as was to be expected, has show with abundant clarity. 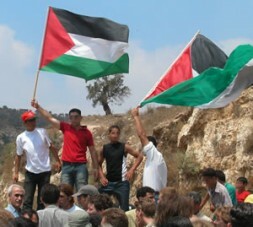 "The future of Palestine will be decided not by the politicians of today, but rather by the new elite of tomorrow. Palestine needs a shift in generations now, away from the corrupt Fatah and the dogmatic, terrorist Hamas toward a pragmatic new leadership who will place the democratic rebuilding of this oppressed country in the center, rather than the killing of civilians in Israel. There are already several impressive personages from this new generation who would be capable of transforming Palestine into a nation of peace, freedom and prosperity." The completely incomprehensible and counter-productive decision to destroy all housing in the Gaza Strip prior to withdrawal instead of formally handing it over as a gesture of reconciliation illustrates what little psychological understanding the decisive planners and politicians in Israel and its protecting power the USA have for a credible and realistic peace policy and how dogmatic this topic, so essential for Israel’s survival, is handled by them. The future of Palestine will be decided not by the politicians of today, but rather by the new elite of tomorrow. Palestine needs a shift in generations now, away from the corrupt Fatah and the dogmatic, terrorist Hamas toward a pragmatic new leadership who will place the democratic rebuilding of this oppressed country in the center, rather than the killing of civilians in Israel. There are already several impressive personages from this new generation who would be capable of transforming Palestine into a nation of peace, freedom and prosperity. The elite in Palestine must confront the question as to whether they want to live in a democratic and prosperous nation of their own or in a land of chaos, atomized by militias and radicals. The choice is between peace and freedom or a state of war and totalitarian threats accompanied by sustained unemployment. In other words, Palestine also lacks a convincing concept for the future. Palestine needs new leadership, who are able to define and organize the Grand Design of the country in peace, freedom and prosperity. The EU and the USA should identify and connect this new elite and promote this group exclusively with all available means. Only with this fresh, new soil is peace and freedom possible. The continued financing of the old guard, be it Fatah or Hamas, and the failed, broken down, corrupt and dishonest structures of the Palestinian state is like pouring water in the sand and must be stopped.